Our main concern is your convenience. 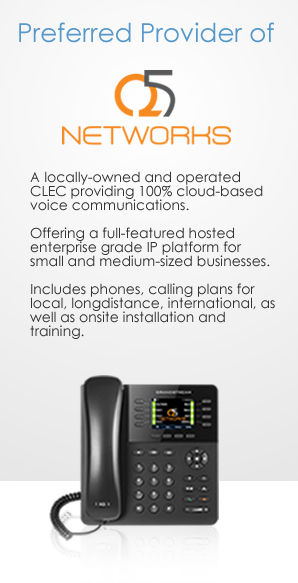 We aim to improve your business by modernizing your phone systems. 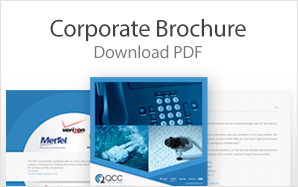 With QCC, you can push yourselves far from the limits of traditional telephones. For years, telephone users were hopelessly bound to an outdated infrastructure. They used copper analog and digital lines. QCC is devoted to modernizing your business with voice over IP (VoIP) solutions, preventing you from being hampered by outdated telephone limitations. Our VoIP uses internet protocol to transmit voice communications over your data network. As such, the entirety of your technological infrastructure can exist over a single backbone. Your signals can then be transmitted anywhere your network allows, regardless of physical distance. We also offer solutions that utilize Session Initiated Protocol. SIP is an innovative and rapidly growing form of VoIP. With SIP, your business can maintain its phone numbers no matter where you choose to expand, and without the expensive routing fees charged by carriers. SIP eliminates monthly recurring carrier line fees. With this, we effectively maximize your costs. If you want a successful business without any limits, use our services starting today! Our products and services include voice-over IP, SIP, configuration of system phones for remote users, business video conferencing, business phone systems, and business providers. For more information about our products and services, contact us at 410.517.5000 and 888.888.4113.